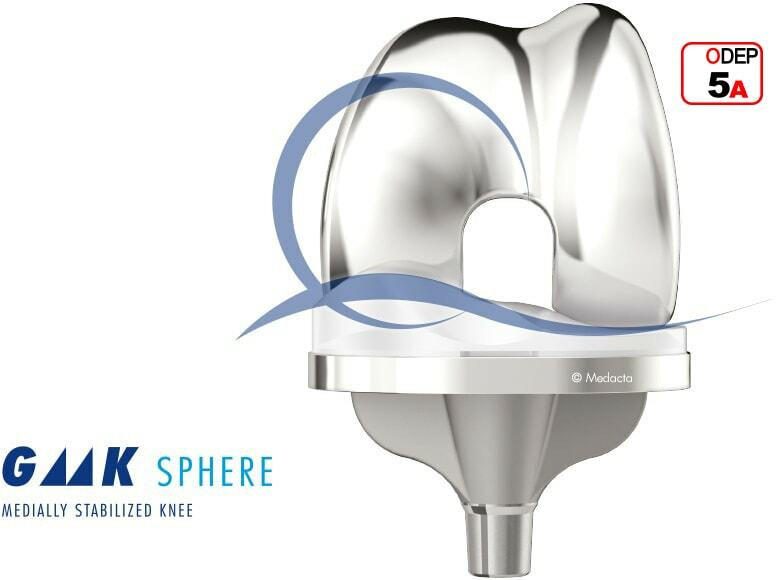 The GMK SPHERE medially stabilised Total Knee Implant that has been designed to deliver maximum functional stability with the goal of increasing TKA patient satisfaction during activities of daily living and decreasing post-operative knee pain. 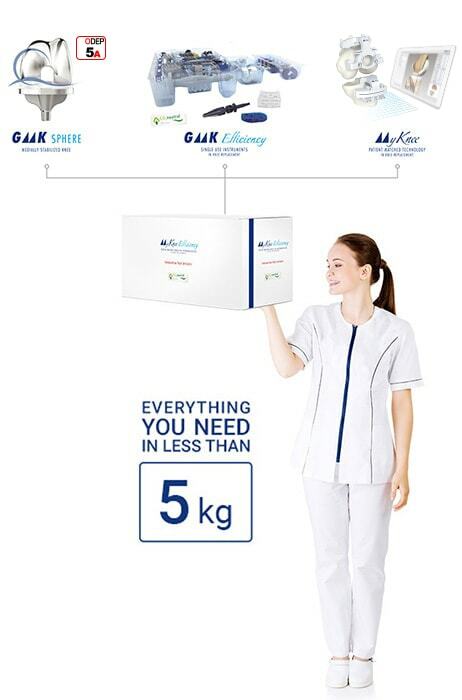 As an alternative, the GMK PRIMARY Total Knee Implant conceived and designed adopting state-of-the-art solutions that respect the natural anatomy and kinematics of the knee joint, is also available. 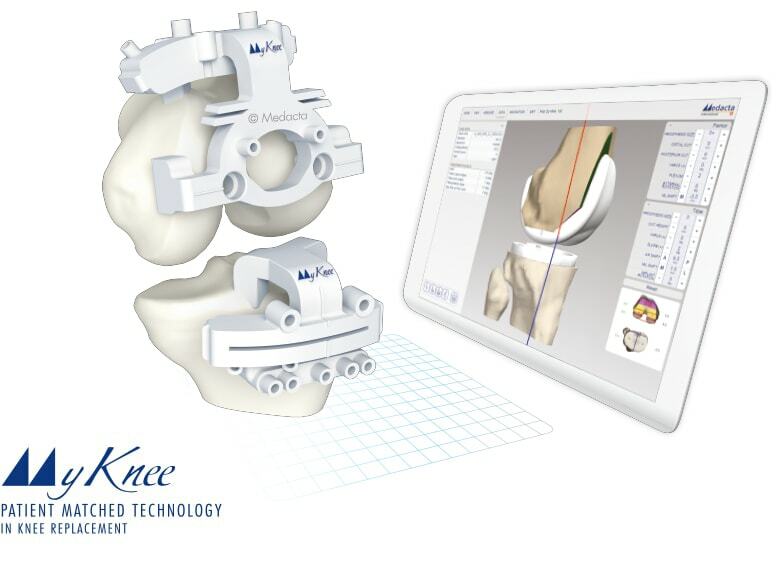 MyKnee patient matched technology that realises the surgeon's pre-operative 3D planning, based on CT or MRI images of the patient’s knee. This innovative platform aids accurate implant positioning, avoids violation of the IM canal and reduces the surgical steps for bone resection by up to 60%, potential benefits for both the surgeon and the patient. 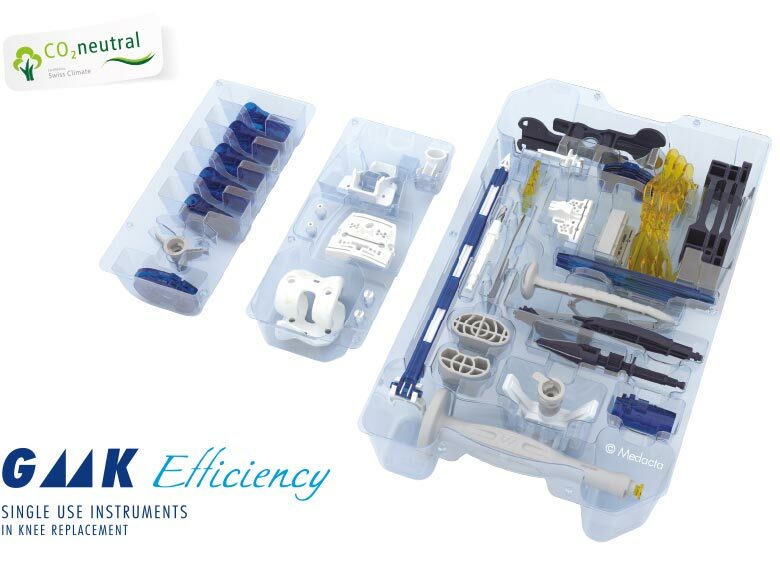 GMK Efficiency single use instrumentation is a complete set of single use instruments that is delivered terminally sterile, to perform a TKR surgery. It has been created to optimise instrument management that provides significant benefits in the O.R. and throughout the hospital supply chain. Scott G, Imam MA, Eifert A, Freeman MA, Pinskerova V, Field RE, Skinner J, Banks SA. Can a total knee arthroplasty be both rotationally unconstrained and anteroposteriorly stabilised? A pulsed fluoroscopic investigation. Bone Joint Res. 2016 Mar;5(3):80-6. Steinbrück A, Schröder C, Woiczinski M, Fottner A, Pinskerova V, Müller PE, Jansson V. Femorotibial kinematics and load patterns after total knee arthroplasty: An in vitro comparison of posterior-stabilized versus medial-stabilized design. Clin Biomech (Bristol, Avon). 2016 Mar;33:42-8. Greenwald AS et al, Simulated kinematic performance of The GMK-Sphere Total Knee Design During A Stand to Squat Activity. Study report, 2013. Schütz P., Taylor W., Fucentese S., Koch P., Renate L. GMK Sphere Total Knee Arthroplasty Exhibits Medial Stability During Gait Activities. Podium presentation at 18th EFORT Congress, Vienna, Austria, May 31 - June 02 2017. Anderl W et al, CT-based patient-specific vs. conventional instrumentation: Early clinical outcome and radiological accuracy in primary TKA; Knee Surg Sports Traumatol Arthrosc. 2014. Koch P, Müller D, Pisan M, Fucentese S, Radiographic accuracy in TKA with CT-based patient-specific cutting block technique, Knee Surg Sports Traumatol Arthrosc. 2013 Oct;21(10):2200-5.